The Group’s interests include Jardine Pacific, Jardine Motors, Jardine Lloyd Thompson, Hongkong Land, Dairy Farm, Mandarin Oriental, Jardine Cycle & Carriage and Astra International, while the Group also has a minority interest in Zhongsheng Group, one of mainland China’s major motor dealership groups. These companies are leaders in the fields of engineering and construction, transport services, insurance broking, property investment and development, retailing, restaurants, luxury hotels, motor vehicles and related activities, financial services, heavy equipment, mining and agribusiness. Matheson & Co provides support services to the Group’s subsidiary and associated companies, including its United Kingdom based business interests. The Jardine Matheson Group has a number of investments in the United Kingdom, one of the most significant being its 42% interest in Jardine Lloyd Thompson Group plc, one of the world’s largest providers of insurance, reinsurance and employee benefits related advice, brokerage and associated services. Headquartered and listed in London, the group offers services in over 135 countries and has a significant presence in the Asia- Pacific region. 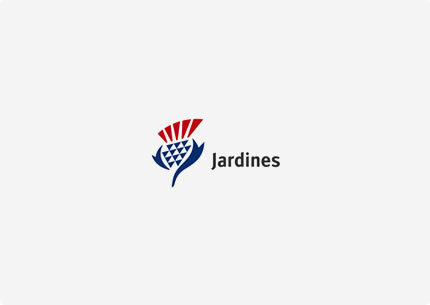 Jardine Motors Group plc represents the Group’s motor interests in the United Kingdom. It is one of the largest independent dealership groups representing a broad range of luxury marques including Aston Martin, Audi and Volkswagen, Jaguar and Land Rover, Mercedes-Benz and Porsche. Through listed subsidiary, Mandarin Oriental International Limited, which operates some of the world’s most prestigious hotels and resorts, the Jardine Matheson Group has an interest in the Mandarin Oriental Hyde Park Hotel, one of London’s most prestigious hotels located in the heart of Knightsbridge with picturesque views over Hyde Park. Reproduced with the permission of Matheson & Co. Ltd. Copyright Matheson & Co. Ltd. All rights reserved.